Despite spanning only a short couple of years, pre-kindergarten is one of the most important periods of a child’s academic career. This is where they begin to receive the foundations of their education. As such, it is important that children in pre-kindergarten classes have competent teachers to help them learn and grow. All incoming pre-kindergarten teachers throughout the United States are required to earn a passing score on the Praxis II Pre-Kindergarten exam to prove they’re ready for the classroom environment. Are you still looking for the right tools to help you study for this important exam? 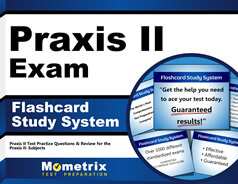 The Mometrix Test Preparation team would like to offer you our Praxis II Pre-Kindergarten Education (5531) practice test. 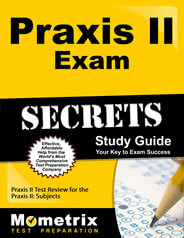 Created with accuracy and thoroughness in mind, this resource is formatted so that it closely resembles the full Praxis II exam for your subject. We encourage you to incorporate this 100 percent free Praxis II Pre-Kindergarten Education practice test (and our companion study guide) into your study plan. Good luck!